In 2017, WFG Title began the search for a new space that would allow for an open floor plan and a massive change to the classic Title office that we all are comfortable with. WFG was tired of the same old Title and Escrow office space; large window lined offices, with equally as large cherry wood desks filling the space. 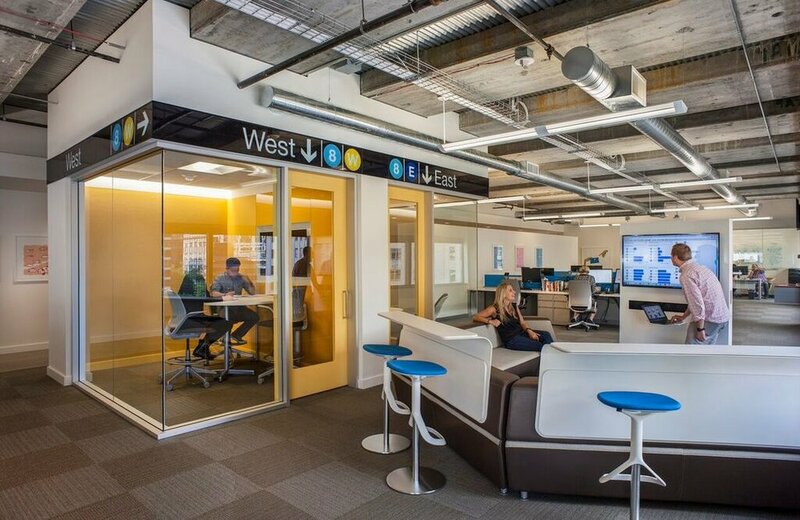 WFG started by seeking out an office location - which they found through Killian Pacific - that would support a more open and collaborative work environment, and of course needed a furniture solution that fit into that as well. This is where the relationship with Hyphn began, through the partnership a new space was born by leveraging a collaborative synergy to create the perfect space for the WFG teams work style. The functionality and comfort of our furniture, along with the aesthetic. Our customers are constantly commenting on how much they love the look and feel of our office; it’s nothing like that of our competitors. Our customers want to be in our space, and want to bring their customers into our space as well. Our staff is so happy – they love the flexibility they have now and adjust their position (sit/stand) throughout the day. The functionality of the furniture also works really well with our day-to-day job functions. While these results weren’t unexpected necessarily, you never know exactly how it’s going to turn out until you’re working in it.